Enjoy Utah! 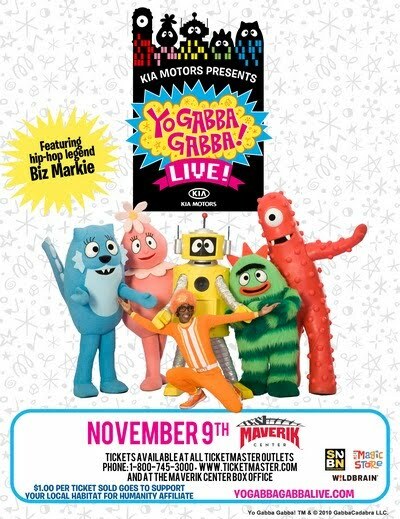 : EXTRA Yo Gabba Gabba entries! 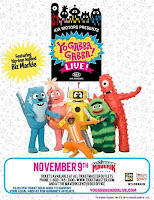 EXTRA Yo Gabba Gabba entries! We LOVE our networking partners! If you subscribe to their blog, you will also be able to enter extra times! Fill out the entry form below, and under "other comments", tell us which networking partner's blog you subscribe to. That will also get you more entries! If other friends subscribe to their blogs as well, and mention your name, that will give extra entries. Here are our networking partners' blogs: Gines Auto Service, and Squawkbox Sound. CLICK HERE for official rules and ways to enter.